As party buses (also called limo buses) are getting more and more popular, people have a tough choice to decide which type of vehicle would be best suited for their type of event. 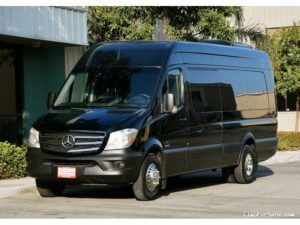 Although limousines are traditionally the preferred choice for events such as birthdays, nights out, bachelor and bachelorette parties, party buses are quickly gaining popularity for many of our customers. Party buses are much more roomy. You are able to stand up, walk around, dance around and enjoy your time a lot more on a party bus. In a limousine, you can still party, however, there is definitely not as much room and freedom.